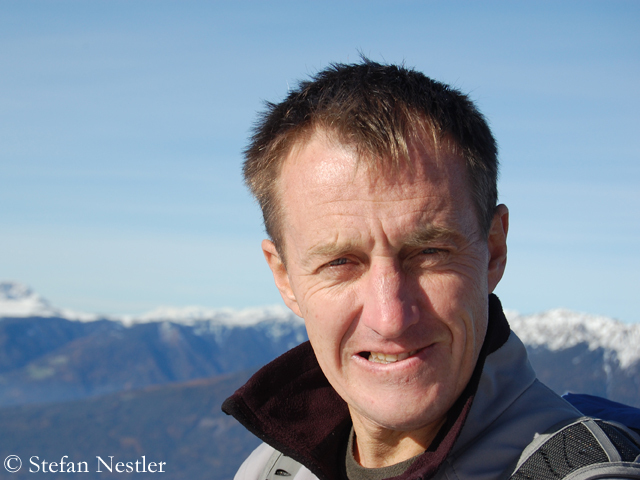 Expedition leader Wielicki is a pioneer of winter climbing on the highest mountains in the world. In 1980, he scaled with his Polish compatriot Leszek Cichy Mount Everest, it was the first eight-thousander ever climbed in the cold season. Two more first winter ascents followed: in 1986 with Jerzy Kukuczka on Kangchenjunga and in 1988 solo on Lhotse. 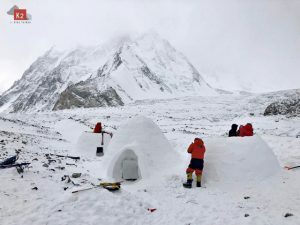 For the K2 expedition the now 67-year-old has put together a team of ten climbers, which combines more winter expertise than any other expedition before. Including him himself, there are five first winter ascenders of eight-thousanders: Aside from Wielicki, Urubko (Makalu, Gasherbrum II), Adam Bielecki (Gasherbrum I, Broad Peak), Artur Malek (Broad Peak) and Janusz Golab (Gasherbrum I). 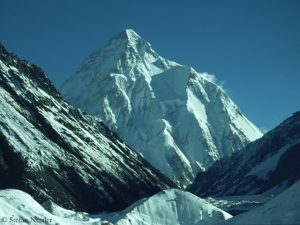 K2 experience is also abundant in the Polish team: Five of the ten Polish climbers who will set off for Pakistan on 29 December have already reached – in each case in summer – the summit of “Chogori”, how the native Balti call the mountain. 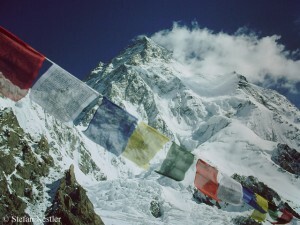 There have been three serious attempts so far to climb K2 in winter, all failed below 8000 meters due to bad weather. 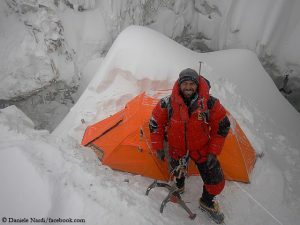 Team members of an international expedition, also led by Wielicki, climbed highest in winter 2002/03 on the Chinese north side: Camp 4 at 7,650 meters was the terminal stop for Denis Urubko and Marcin Kaczkan (he is also part of this year’s team) on their summit attempt. 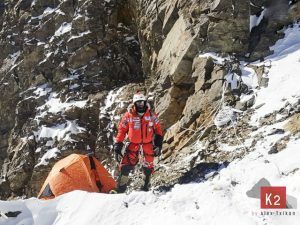 This time, Wielicki wants to try it on the Pakistani south side of the mountain via the Cesen route (Southsoutheast Ridge), “but it depends on the conditions”. The Abruzzi Spur (Southeast ridge) is another possibility. Breathings masks are only intended for emergencies. Bottled oxygen “is not necessary, if you are well acclimatized. That’s the key,” Krzysztof told me when we talked at the ISPO trade fair in Munich last February about the upcoming winter expedition to K2. He also wants to be on the mountain, but not to climb to the summit. He would not play “the first fiddle” when climbing, said Wielicki on Polish radio. “The goals will be scored by others.” First and foremost, the Pole, who became the fifth person in the world to scale all 14 eight-thousanders, is required in his role of expedition leader. So he will have to make the hard decision who out of his team of top climbers will form the summit team, if the opportunity arises. “Denis Urubko, Janusz Golab and Adam Bielecki have certainly the biggest chances,” said Wielicki in an interview of the Swiss newspaper “Neue Zürcher Zeitung”.